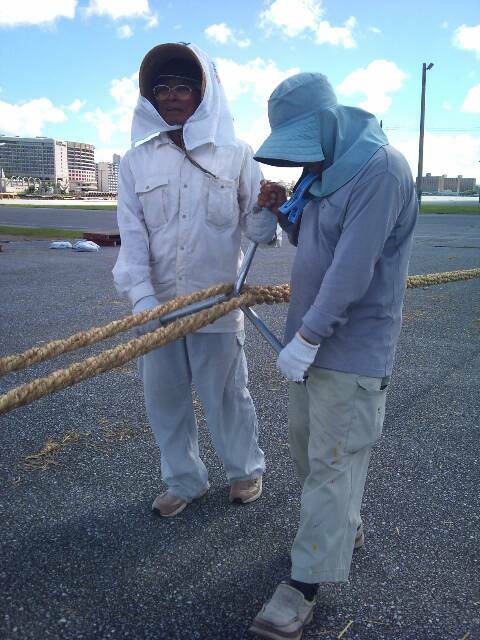 The Great Tug of war is one of the three biggest festivals in Naha. The celebrations, which last three days, are each year timed to end on Sports Day national holiday (second Monday of October). The actual pulling of the rope, which takes place on the second day of the festivities, is said to bring participants peace, prosperity, domestic felicity or fertility. 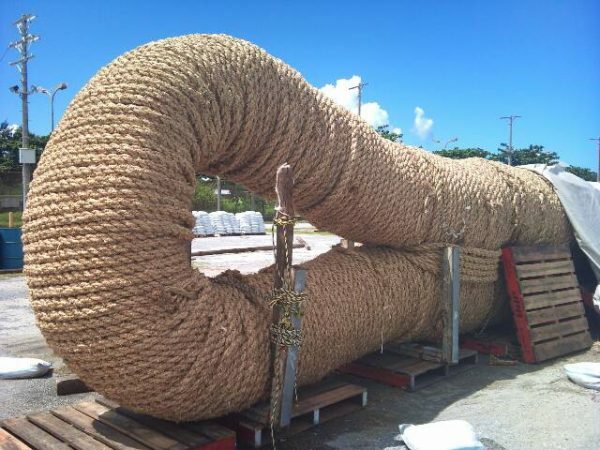 The gigantic rope was listed in the Guinness Book of Records from 1995 to 1997 as the largest straw rope in the world. 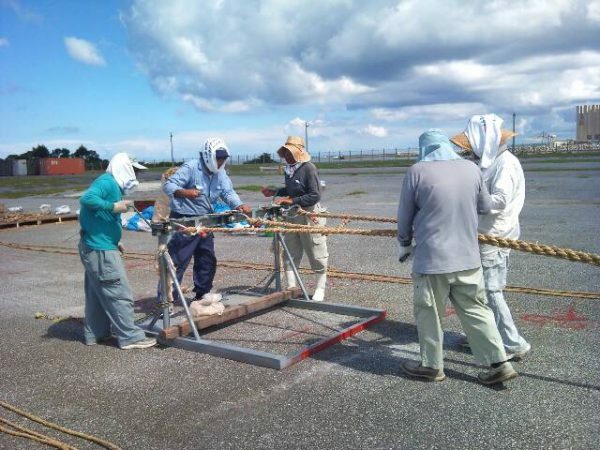 It is made by braiding a huge quantity of smaller ropes, which can be divided in three types : the core ropes honzuna, the wrapping ropes keshōzuna that coil around the core, and the shorter tezuna that the participants hold. The keshōzuna and tezuna are replaced every year. How is the great rope made? Take a lot of thin straw ropes. Hook three of them to this machine, and turn the crank to twist them into a slightly bigger rope. Look at the length of these! 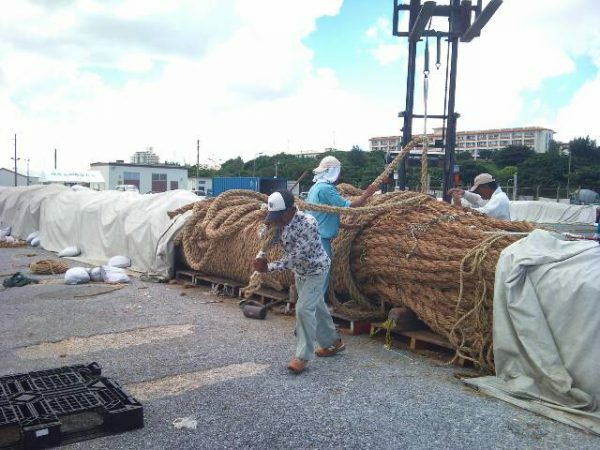 The resulting ropes are then twined together in the opposite direction to form an even bigger one, while making sure that each of the strands stays tightly woven. This is how keshōzuna and tezuna are made. One at a time, the keshōzuna are now carefully wound around the bundle that will form the core. Keshōzuna are then tightened up using a wooden mallet. 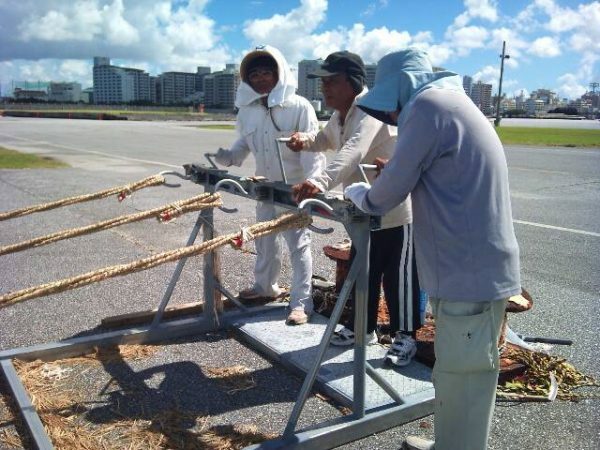 It takes about 40 days of hard work to 15 craftsmen to finish the rope, whose making starts each year around August 20th. 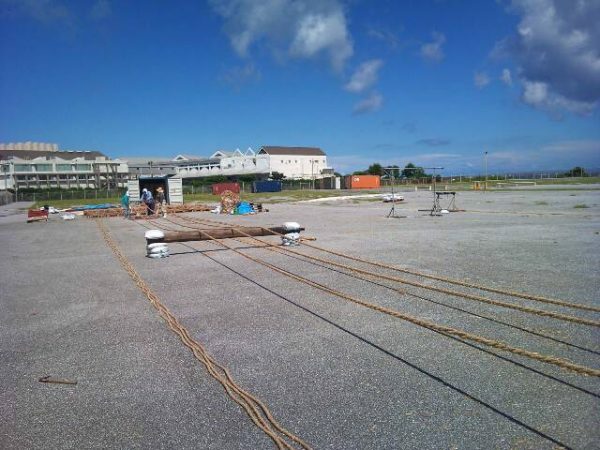 Please come and take a pull at the world’s largest straw rope!